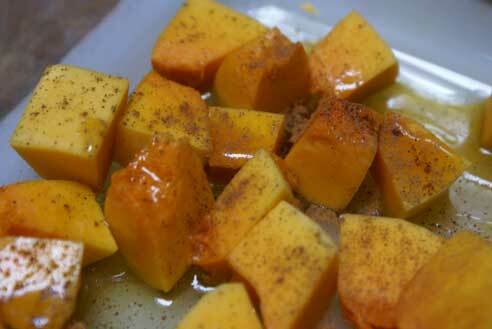 I have really enjoyed experimenting with butternut squash recipes this year! This one is a keeper! A fantabulous side dish! 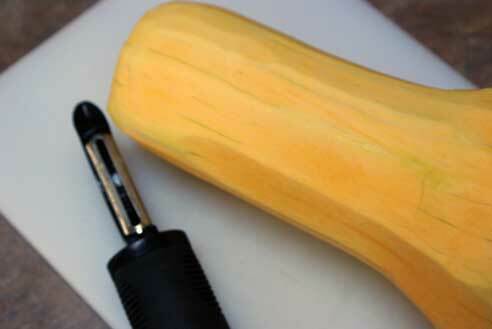 Chop off the stem and bottom of the squash. Using a vegetable peeler, peel off remaining skin. 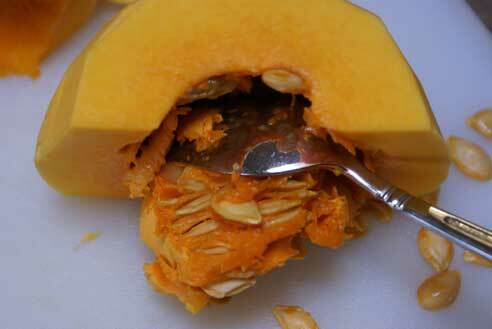 Cut the squash in half crosswise just above where it gets larger, or where the seeds live. Dice the whole squash into 1/2 inch cubes. 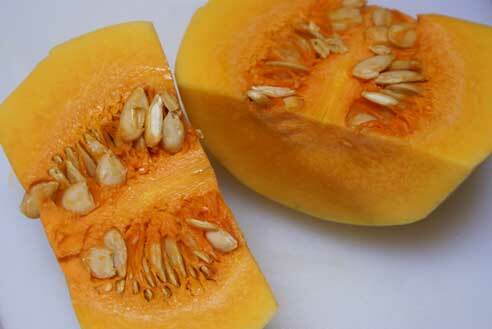 Place squash into an 8×8-inch glass baking dish. Sprinkle with olive oil and maple syrup. Toss. Add a few dashes each of ground cinnamon, nutmeg, and allspice. Toss. Bake uncovered at 400° for 30-35 minutes. 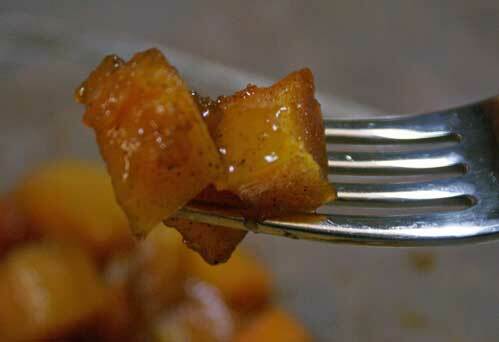 Serve Maple Roasted Butternut Squash with your Thanksgiving Feast. this looks like a keeper and may be a good crockpot candidate. I’ve got several crockpots AND a big butternut squash to use. I LOVE your recipes. I’m wondering if there’s a way to make them more printer friendly? I don’t like wasting so much ink and paper. @Erin, The $5 Dinner Mom, Very helpful. Thx! Erin–A possible change to this that I did last year in a moment of desperate resourcefulness for “that special dish to take to the ladies church feast”. I prepared the butternut squash just as your recipe describes and included cubed sweet potatoes as well (with skins on). After tossing them in olive oil I very generously sprinkled cinnamon(Saigon from Costco is incredible) and course ground black pepper (a la blackening–almost- not too much). After they roasted in the oven for 30 to 40 minutes I tossed with a couple of tablespoons of maple syrup. Yields: a really great combination of spicy and sweet not usually found next to the old bird. My husband loves this cold for breakfast!? I wish I could find butternut squash for $0.50/lb. Mmmm… I’ll have to try that. 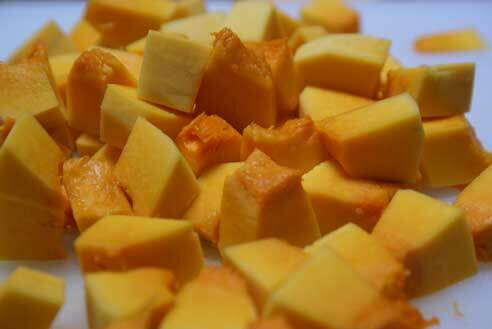 I have a cabinet full of butternuts that I grew in the garden this year. Need to do something more than baby food with them! do you use real maple syrup? that squash looks so good! I did use real maple syrup when I made this. Thanks, looking forward to this for a new thanksgiving taste. You can make an imitation maple syrup with sugar, water and maple extract…but it’s loaded with sugar! I was able to get an amazing deal on it through Amazon in October. I was fortunate to not have to pay anything out of pocket for the bottle! I see similar pricing here in central OH, in fact I think I may have seen butternuts on sale at Meijer for $.29 or $.39 per lb a couple days ago? I’m heading there again after work tonight, and if that’s the case, I’ll be enjoying (all by myself LOL, picky DD won’t touch it) your recipe this weekend! Thanks! I need to take a side dish for Thanksgiving and have a butternut squash someone gave me. this will be perfect! I made this tonight and it was delicious! My whole family loved it and rated it 5 out of 5 stars!! Squash is .69/lb (that is on sale and the cheapest I have seen it this year here) and I used real maple syrup. YUM!! Made this tonight–we loved it! I will be making this for Thanksgiving to take to my sister-in-law’s. 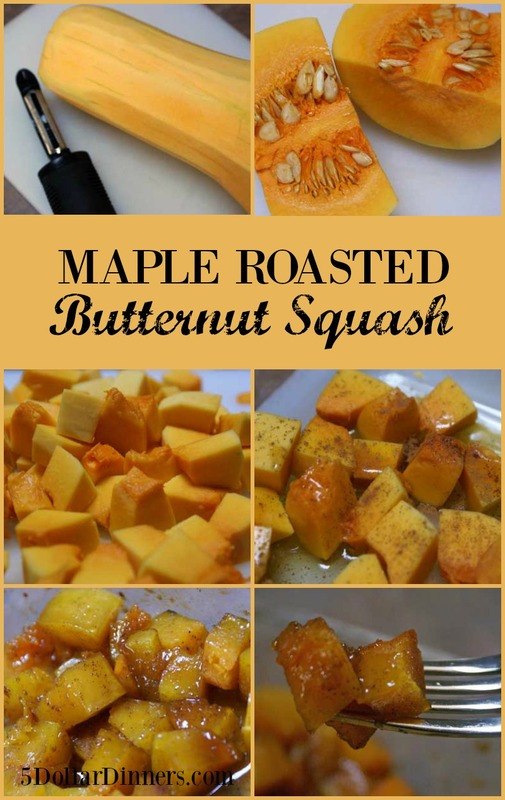 We bought a whole bushel of butternut squash at the farmer’s market so each squash cost us less than $1, and I have a bottle of real maple syrup that just seems to last and last, so this was almost free to make. 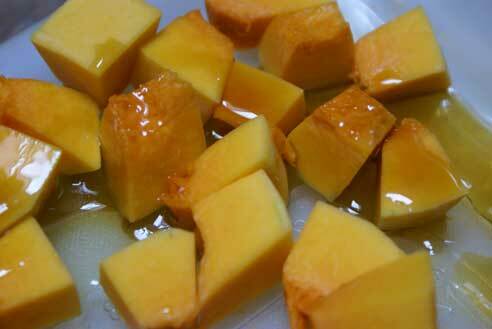 One tip on making butternut–if you have some extra time, just cut them in half, scoop out the seeds, then stick in the oven for about 10 minutes in a pan with a little water. Then take them out and let them cool until you can handle, and it is very easy to peel and cut them up. Just pulled this out of the oven to take to a Thanksgiving dinner tomorrow!! It is beautiful and delicious! I just made this as a side to dinner tonight (eating it as I type) and it is so good. 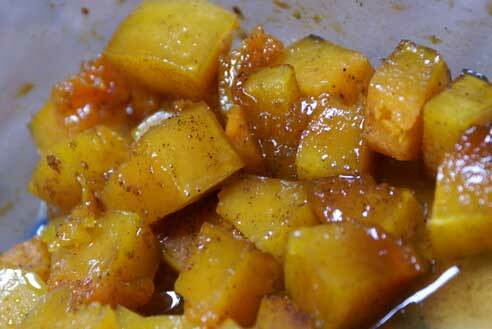 We planted butternut squash this past spring and I still have several from our garden, that is what I used tonight. My garden squash were huge so I was able to make two recipes out of just one of my squash. Yummy! Great recipe, thanks for posting it. Am making this to take to inlaws this afternoon. Before it went in the oven, my husband said it looked delicious as is. Looking forward to trying it with the turkey later today. I’m making this dish for the third time this month. It is great for those who are trying to cut back on sugary desserts. Sadly, I also have a hard time finding squash for less than $1/lb. But I did score some good sized squashes for $2 each at the local farmer’s market. I’ve made this several times — the family loves it. However, this time around I discovered an error in the recipe. In the list of ingredients it says: cinnamon, nutmeg, allspice. In the process it says: cinnamon, ginger, allspice. I can’t remember how I did it before. Help?